Rhodie, a photo by natamagat on Flickr. 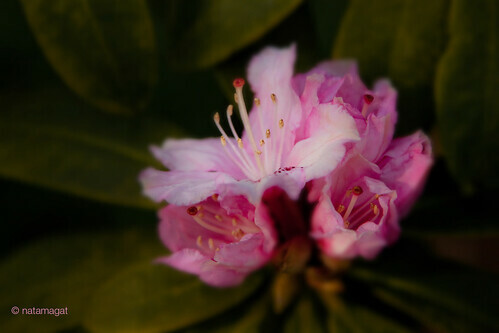 This pink rhododendron is very fragile. Last year it was spoilt by the heavy rain before it had time to bloom. It was such a pleasure this year to be able to photograph the flowers at different stages.